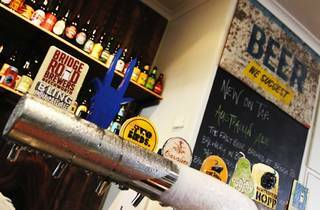 This chilled-out pub pours a top-notch range of craft beers with sours, IPAs, stouts and easy drinking Two Birds ales fresh from the nearby brewery. 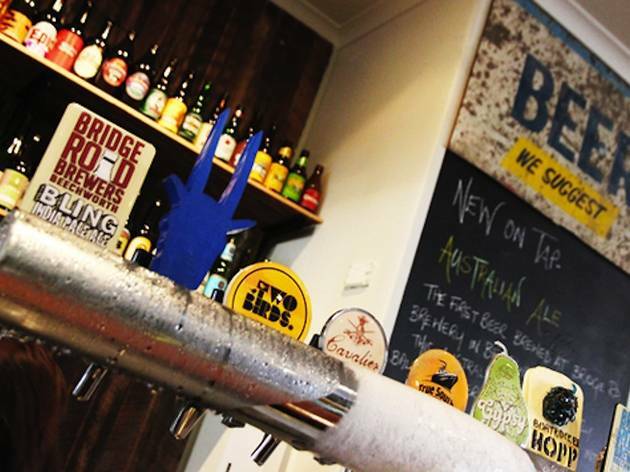 A sign proclaiming love of Aussie beer offers suggestions from every state of our great, beer-soaked nation, and the immaculate chalkboard speaks to heavy tap rotation. A leather-bound beer bible has bottles listed by style with full descriptions. The beer garden includes an outdoor sitting room area perfect for afternoon lounging with couches, and pub snacks are a cut above with meaty-fresh beef tacos and huge crispy wings. Staff are keen to bring craft beer to the masses with questions like “what do you normally drink?” to steer the uninitiated towards something they’ll enjoy. There’s no attitude here: just a love of good times, good food and good beer.